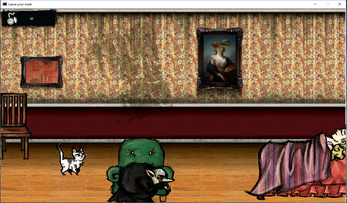 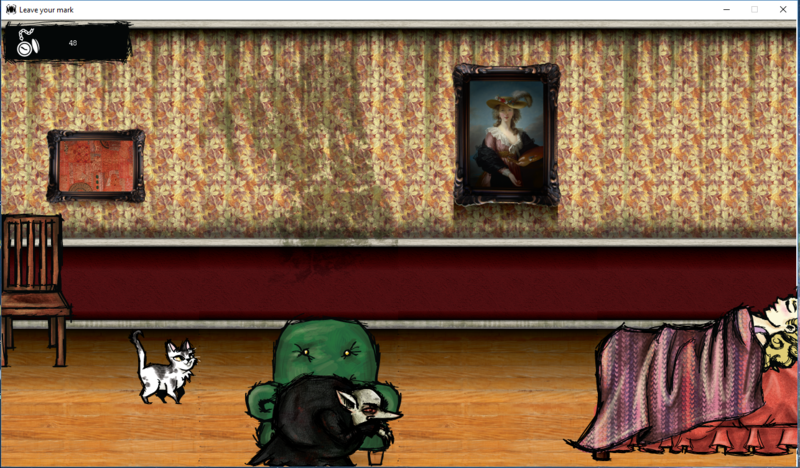 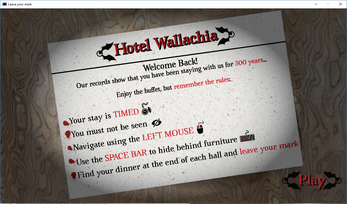 Welcome back to the Hotel Wallachia! 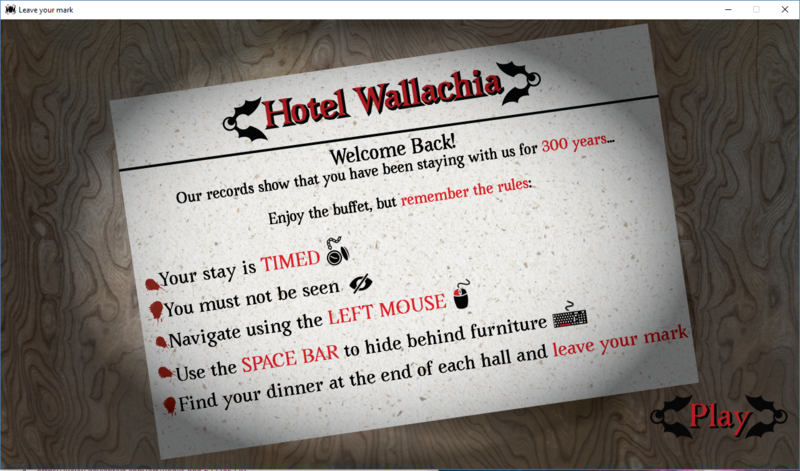 We see you've stayed with us for 300 years...enjoy our nightly buffet, but remember, don't get caught. Use the left click on your mouse to guide your vampire and space bar to hide from would-be-victims and their pesky feline guardians. 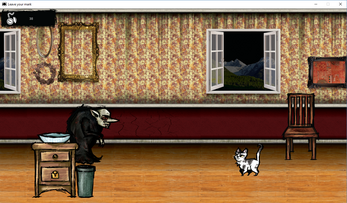 Created by Issac Irlas, Nathan Contreras and Patricia Sipes for OpenJam, a 72 hour game jam.